The main body of the book consists of two translations: A Tongue-tip Taste of Zen, by Primate Takashina Rosen, who was the head of the whole Soto sect in Japan, with its over 10,000 temples; Hakuin’s Song of Meditation, as commented on by Amakuki Sessan; these last were in fact a series of broadcasts over the Kyoto Radio in 1936. When Zen Buddhism crossed from China to Japan in the twelfth century, it entered a phase of development that was not only to inspire a magnificent range of artistic achievement but also to exert a tremendous influence upon Japanese life itself and, eventually, to bring to the attention of the West a religious philosophy both unique and challenging in its power. 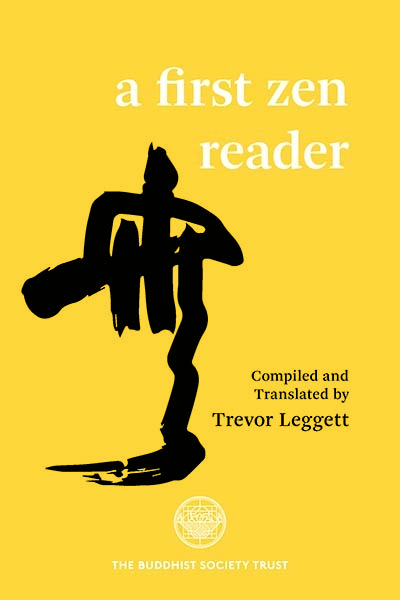 ‘Yet’, as one of the contributors to this book (first published in 1960) expresses it, ‘if asked what Zen is, to reply is very difficult.’ It is the purpose of this anthology to suggest an approach to such a reply. The texts here translated will give a general idea of Zen theory and practice, and are outstanding selections from the treasury of Zen literature. To these, the anthologist has added a valuable ‘Note on the Ways’, in which he points out how ‘the student keeps his Zen practice in touch with his daily life’. The exceptional interest of the text is further enhanced by twenty illustrative plates. The Rinzai and Soto agree on the main points; they differ in the stress given to certain elements in Zen, notably what is called koan. This is a sort of riddle, not completely solvable by the intellect, which is an artificial method of concentrating the energies of a spiritual student. The koan method was devised quite late in Zen history. The Rinzai emphasizes concentration on koan, especially those in the anthologies Hekiganroku and Mumonkan. The Soto, though it has its own collection, the Shoyoroku, does not make so much of them, pointing out that the masters of the golden age of Zen in the T‘ang dynasty did not rely on artificial koan. Mostly the koan are stories about these masters, though Hakuin (1685-1768) in 18th-century Japan devised one of the most famous, the “ sound of one hand.” Even this may derive from a phrase in the Hekiganroku. One can easily imagine what a less great translator might have made of much of this material: the lengthy disquisitions on technical terms, the general nit-picking and colophon-grubbing. Instead, we have here attractive, lucid prose that actually says something, than which nothing could be more desirable in this field (of Zen).